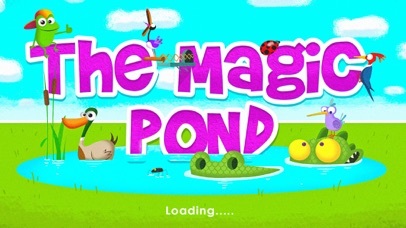 The Magic Pond is a cute app with great graphics that includes 4 simple, but fun activities that children will love. 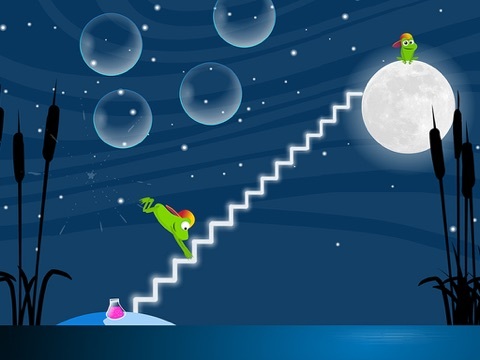 Each activity brings a little bit of magic with singing frogs, magical stairways to the moon, and a challenging game of search and find with chameleons that will delight young children. 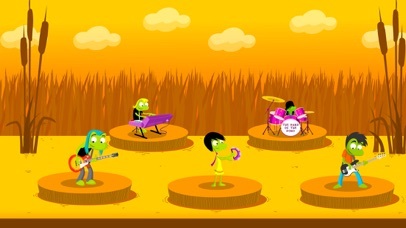 Simply put, this app is a combination of magic, music, and fun that little ones will love. 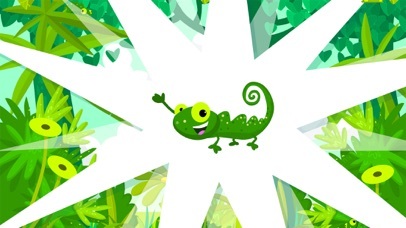 The quality of the images in this app are very good and include bright, crisp colors that are engaging for children. 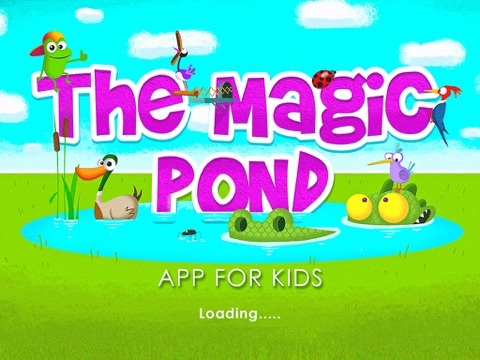 The music and sound effects also help to bring the app to life and make for a fun online playing area for children to explore this magical pond of fun animals and characters. 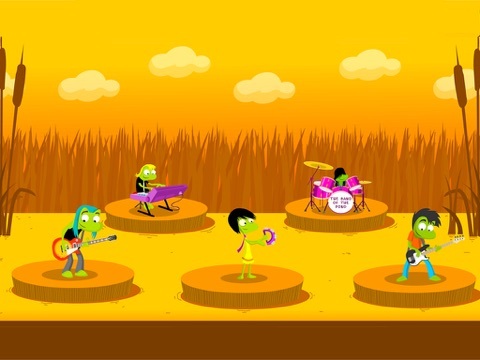 The developers have also done a great job creating an easy to use app that is very intuitive for young children to use without a ton of assistance from parents. 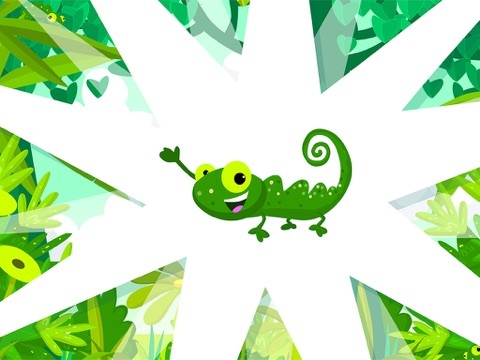 While this app isn’t specifically educational in nature, it does provide children with an opportunity to use their problem solving skills as they search and find the hiding chameleons in one activity. 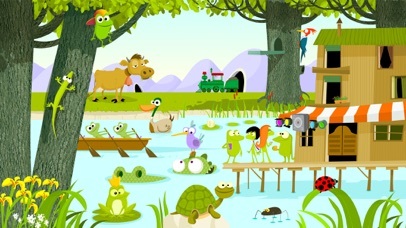 Children can also explore the many animals in the pond and sing along with “Row, Row, Row Your Boat” as the words are shown on the screen. Adding an additional one or two activities that are more educational in nature would definitely increase the overall value of the app. 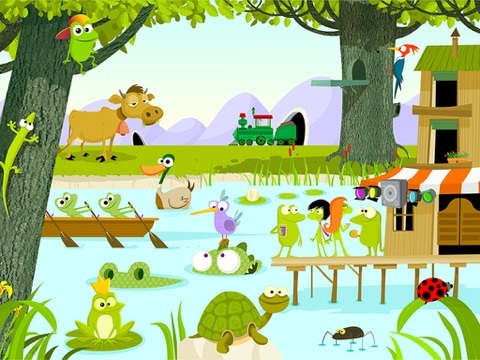 The Magic Pond includes four activities for children to explore including a search and find game, a magical bubble pop activity, the pond’s band, and a free play activity that allows children to interact with tons of pond animals and enjoy ‘Row Your Boat’ song. While the activities are fun and easy to play, they may not keep children engaged for long periods of time. Once children have been through the app a few times it may lose it’s excitement. 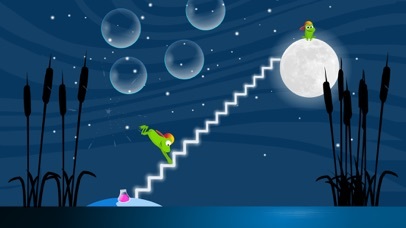 It would be nice to add a few other options or levels for some of the activities to enhance the entertainment value. Priced at just under one dollar this app isn’t going to break the bank. While there are four activities to enjoy it seems to be a better fit as a free app with an offer for an upgrade. The upgrade might include additional levels for the search and find game as well as other activities for children to enjoy in order to increase the overall value of the app. The developers have done a great job of making this app very easy to use and safe too. Children can easily tap their way through the activities without a ton of assistance from parents which is great. The intuitive set up is great and especially easy for young children to enjoy.